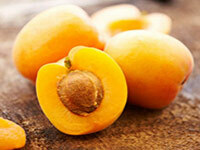 Apricot kernel oil is expressed from the seeds of apricots. It is a fine textured oil that is easily absorbed by the skin without leaving an oily residue. Apricot kernel oil helps to soothe inflammation and is particularly beneficial for dehydrated, delicate, mature and sensitive skin. It is known for its moisturising, nourishing and revitalising properties. Apricot kernel oil is wonderful for everybody – babies, children, teenagers, adults and the elderly. 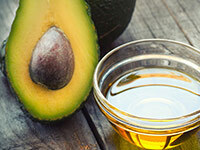 Avocado oil is great for those with skin ailments such as eczema, psoriasis, and other skin problems. Since avocado oil easily absorbs into deep tissue with its wonderful emollient properties, it is ideal for mature skins as well as helping to relieve the dryness and itching of psoriasis, eczema and other skin ailments. Throughout history avocado oil has been renowned to have healing and regenerating properties. It is very useful when treating sun, climate or chemical damaged skin that is dehydrated and undernourished. It is reported to help regenerate and rejuvenate the skin as well as soften the skin tissue. Castor oil is very soothing and lubricating to the skin because it is rich in fatty acids. It acts as a humectant, attracting moisture to the skin. 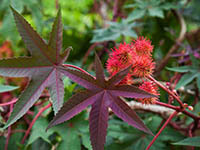 It is extracted from the castor bean plant. It is a popular healing agent for many skin problems and a natural remedy for dry skin. It is rich in fatty acids which help the skin restore the natural moisture balance, thus preventing unnecessary dryness. Castor Oil also has many antibacterial properties. 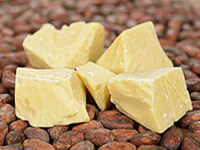 Cocoa butter is a natural antioxidant that clears and smooths the skin. It is frequently used for treating dry skin and stretch marks. It is a natural source of vitamin E as well as a beneficial treatment for chapped hands, feet, lips, pregnant skin and other skin irritations. It is a delicious and nourishing butter that will keep skin extremely supple, moisturised and revitalised. Cocoa butter contains no petroleum, preservatives or harsh chemicals. It is grown mostly in Ghana and is from the Theobroma cacao tree. 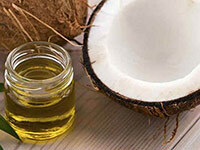 Coconut oil is the natural oil derived from coconuts. It nourishes the skin keeping it soft and incredibly smooth. It prevents dry chapped skin, premature aging and wrinkling. Coconut oil is light and not greasy. It leaves you skin with a radiant, youthful and glowing sheen. It will not clog pores and it absorbs readily into the skin. 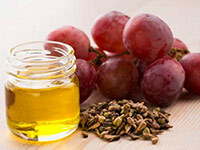 Grapeseed oil is pressed from the seeds of grapes. It is a light, gentle oil that is easily absorbed by the skin. It has an excellent concentration of fatty acids and has anti-inflammatory properties which soothes acne and, being mildly astringent, reduces oily skin. At the same time, it is a great moisturiser and won’t leave your skin feeling oily or clog your pores. The hydrating properties of grapeseed oil can also help fight wrinkles and is effective at scar minimisation. 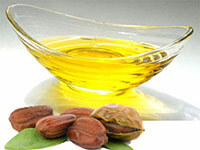 In reality jojoba oil is not an oil but a liquid wax. The jojoba plant is an evergreen desert shrub whose seeds contain an odourless, colourless, liquid wax. It is used to promote a softer, more supple skin while being non-greasy and is great to promote a silky smooth skin. It is stable and long lasting and is a good conditioner for all skin types, especially mature skins. Jojoba is also effective for treating dryness of the scalp and dandruff and can be massaged on its own into the hair and scalp. 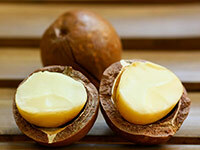 Macadamia nut oil is an oil derived from the hard, woody fruit of the Macadamia tree. A light weight, medium, nutty oil with a chemical profile very similar to that of human sebum. It is the perfect choice for mature or dry skin, aiding in skin recovery and helping to reduce itchiness and inflammation. 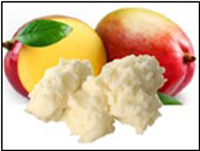 Mango butter is extracted from the de-shelled fruit kernels of the mango tree. The mango tree is a tropical evergreen, and once the mango butter is extracted from its fruit kernels it is heated and boiled to get the right consistency. Dermatologists often recommend mango butter for treatment of wrinkles, as most people who use it will notice decreased signs of aging and the disappearance of lines and wrinkles within 4 to 6 weeks of daily use. Mango butter has good emolliency and lends protection against the sun. Mango butter also reduces degeneration of skin cells and restores elasticity. 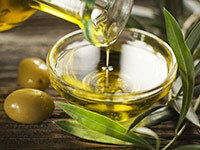 Olive Oil is the oil extracted from tree-ripened olives. It is nourishing and calming to the skin and is believed to have cell-regenerative capabilities. As well as being quite mild, it is moisturising, attracting external moisture and holding it close to the skin and also forming a breathable film to prevent internal moisture loss. Traditionally “Castile” soap was made using only olive oil, but the term has loosened now to include soaps that have olive oil as a major proportion of the oils in them. 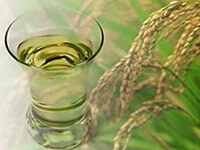 Rice Bran Oil is an oil pressed from the outer hull (the “bran”) of the rice grain. Rice bran oil is gentle and emollient and is particularly suited to sensitive, dry and mature skin types. This golden oil is a good source of Vitamin E and antioxidants and it offers wonderful moisturising properties. Natural shea butter is extracted from the pit of a fruit that grows only on the magnifolia tree in Central and Western Africa. The pits are taken from the fruit, boiled, and then sun dried for 3–5 days before they are roasted to complete dehydration. Afterwards, the shea butter is extracted by hand from the pit of the fruit. 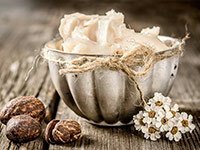 Shea butter is known for its regenerative, emollient and protectant properties. It aids in the prevention of premature ageing and offers the unique characteristic of providing extra sun protection. It nourishes and treats dry, chapped, sunburned and irritated skin. 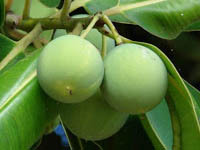 Tamanu Oil is a made from the nut kernels of the Tamanu Tree. Its scientific name is Calophyllum inophyllum – an evergreen tree and a member of the Mangosteen Family. This tree is actually indigenous to the tropical areas of South East Asia but it especially flourishes in tropical countries such as Vanuatu and other South Pacific islands. Tamanu Oil benefits extend to a wide range of natural treatments for acne and acne scars, eczema, psoriasis, toenail fungus, stretch marks, age spots, skin rashes, general scarring and dermatitis, in addition to hair and scalp rejuvenation. Guava Handmade is a small business located at Mt Tamborine, in the Gold Coast Hinterland. Our soaps and body care products are handcrafted in small, quality controlled batches. We accept payment for your purchases through Afterpay or PayPal (you don't need to have a PayPal account). Shipping is a flat rate of $10 anywhere within Australia. If you are outside Australia and would like to purchase our products, please contact us so we can arrange a shipping quote for you.